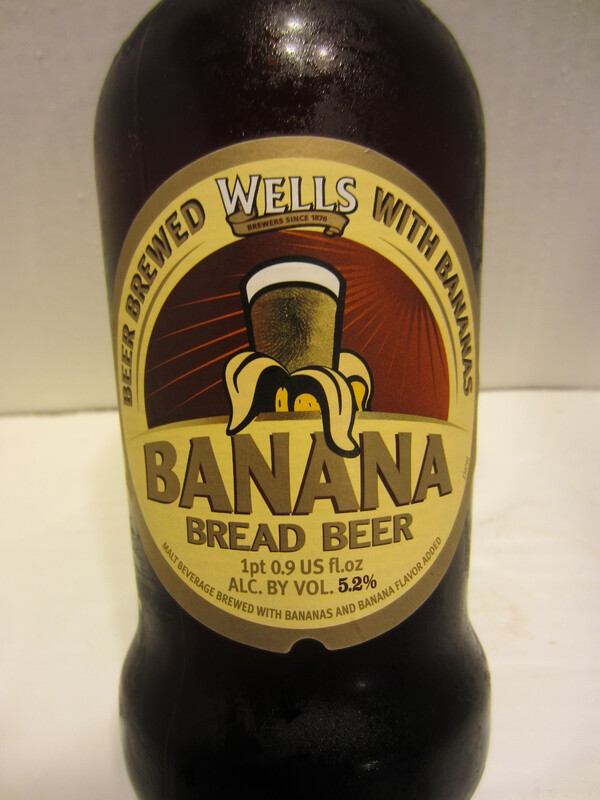 “This unique brew combines all the traditional qualities and style of a Charles Wells beer with the subtle flavour of banana. Purchased from MarVal in Prather, California. Poured from a 16.9 oz bottle into a nonic glass. It looks pretty much exactly like a glass of apple juice, with some carbonation added in. 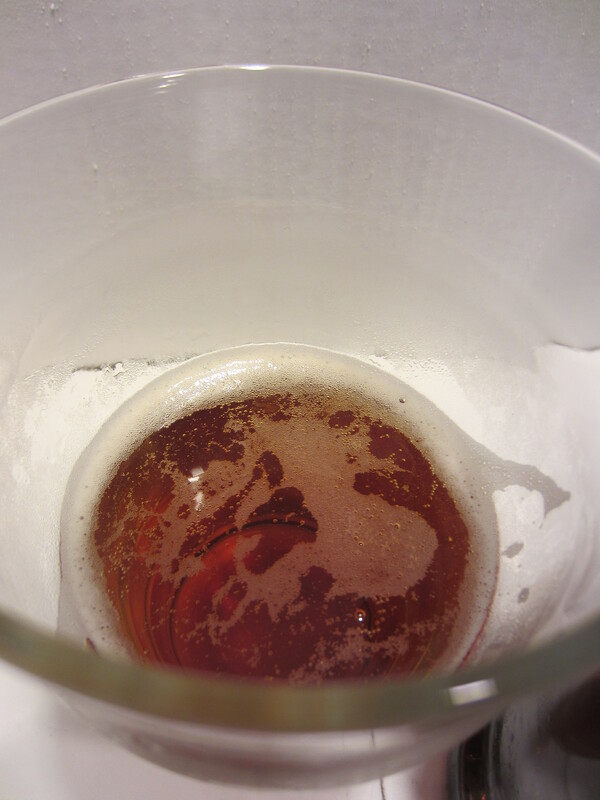 A thin white head is poured, which dissipates quickly. 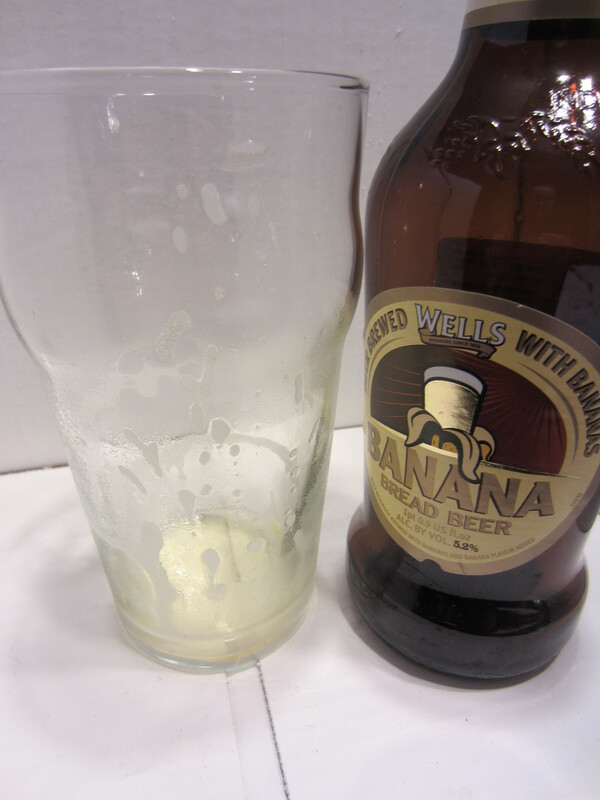 Moderate lacing is left on the glass. Lots of candied banana aromas emanate as soon as I pop the cap. 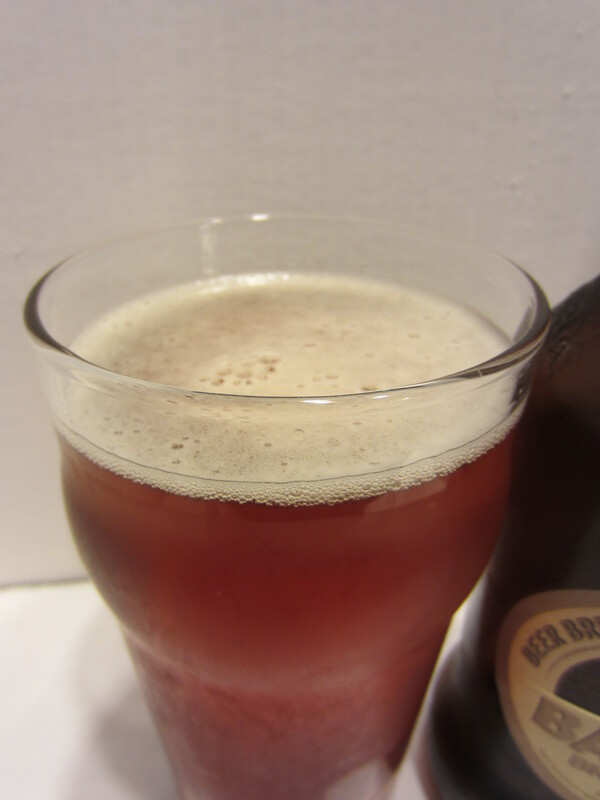 There is some malt sweetness as well as some clove spice in the aroma as well. Medium-bodied, with some carbonation harshness going down. 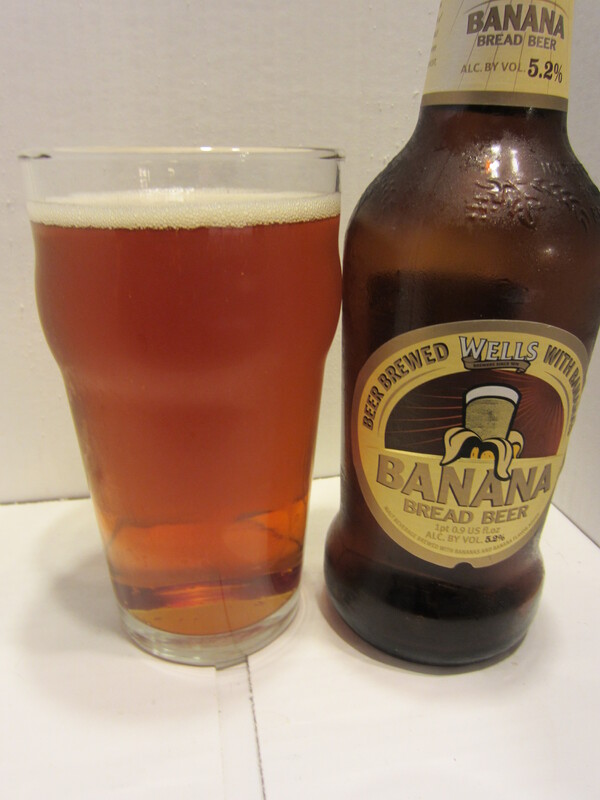 The initial flavor begins with the candied/faux banana from the nose, but quickly gives way to a more natural banana flavor that blends with sweet maltiness. A bit of spice zest shows up on the tongue after swallowing, followed by some earthy hop flavor and bitterness. The natural banana flavor reemerges to linger in the mouth. This entry was posted in Fruit Beers. Bookmark the permalink.